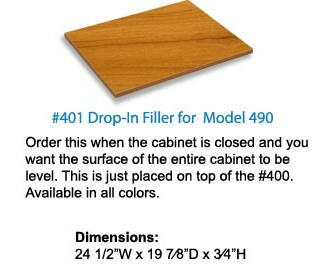 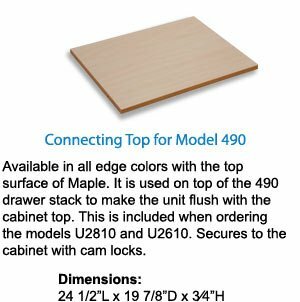 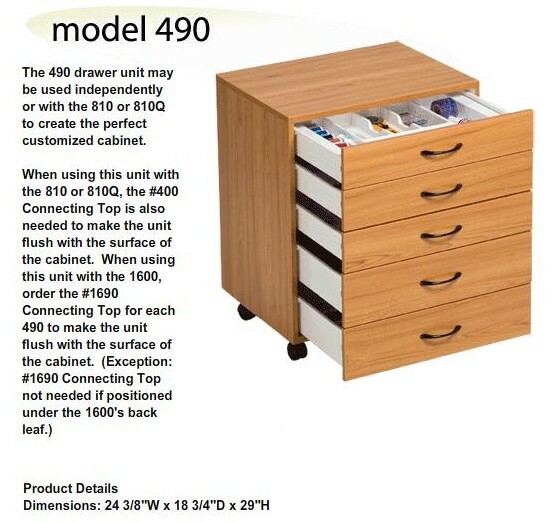 Sylvia Cabinets come in a melamine finish with five color choices: White with Oak Trim, Grand Cherry, Teak, Mahogany, and Castle Oak with contrasting Maple interiors (Mahogany is special order). 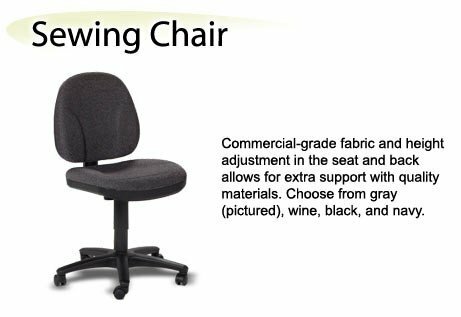 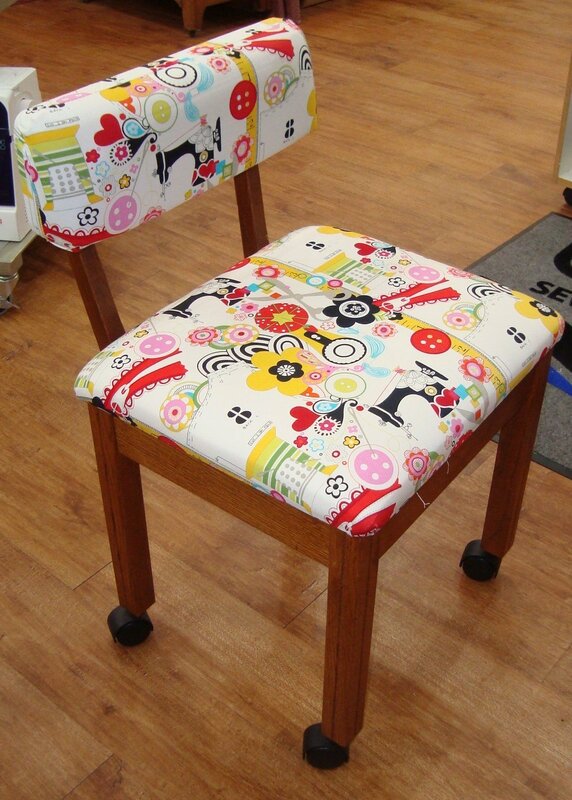 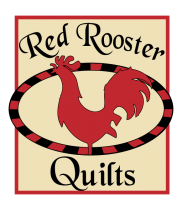 They are heat and scratch resistant for long-lasting beauty and durability. 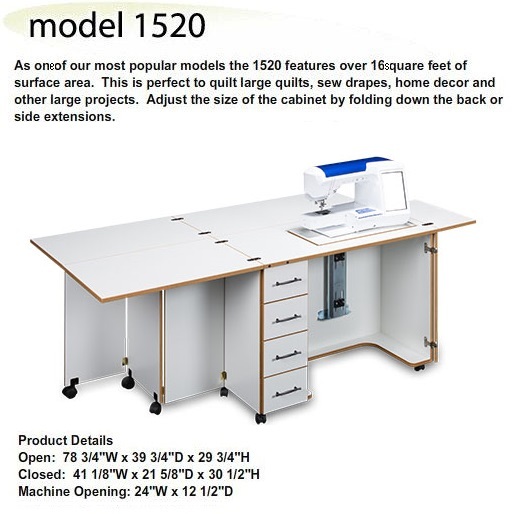 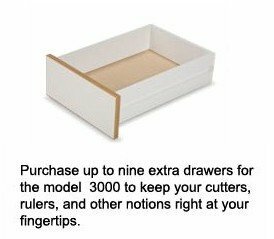 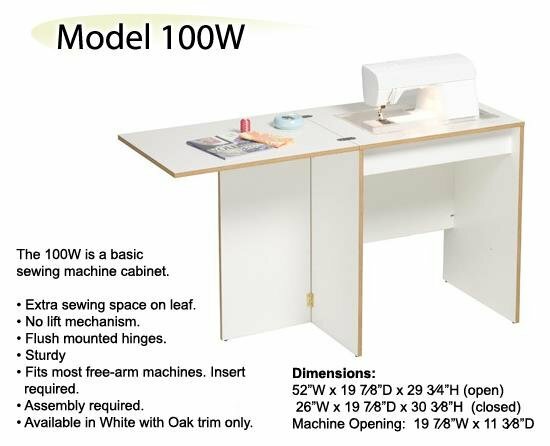 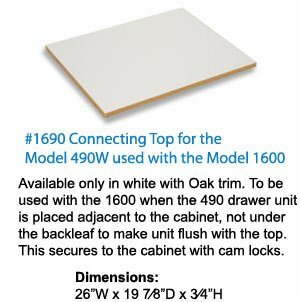 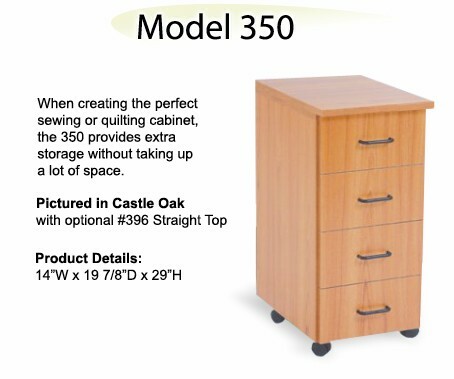 The sewing machine cabinet inserts are available in Clear, White or Maple. 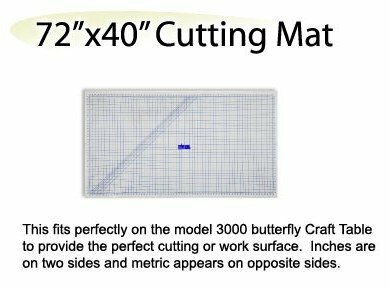 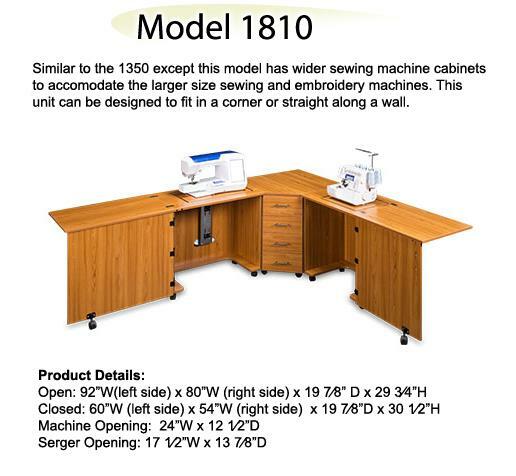 Please specify sewing machine brand and model number when ordering inserts. 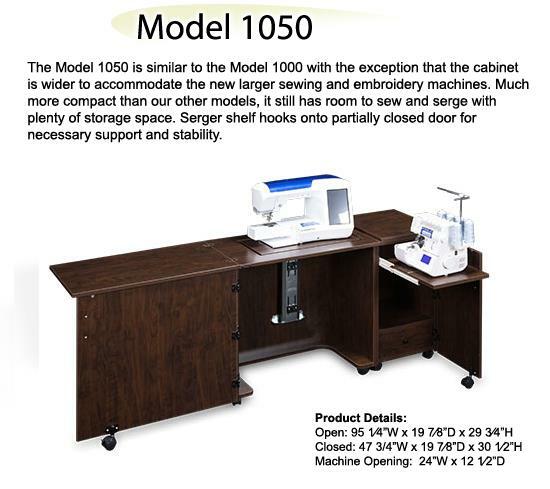 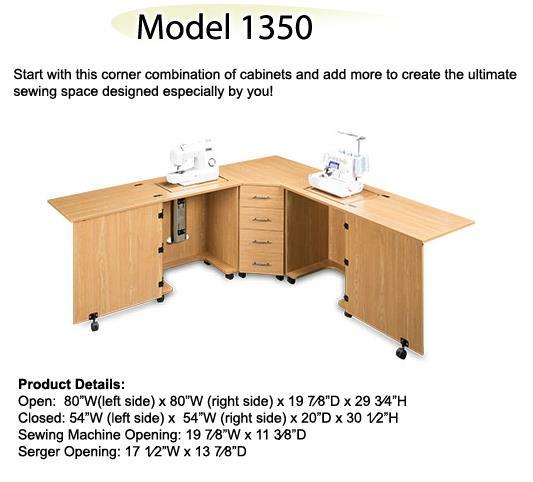 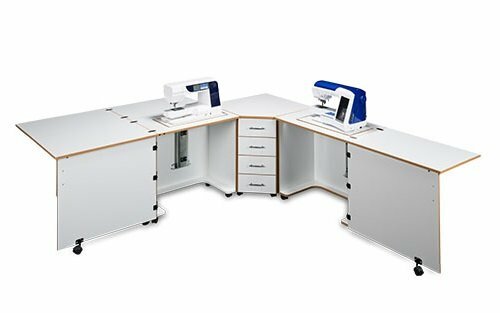 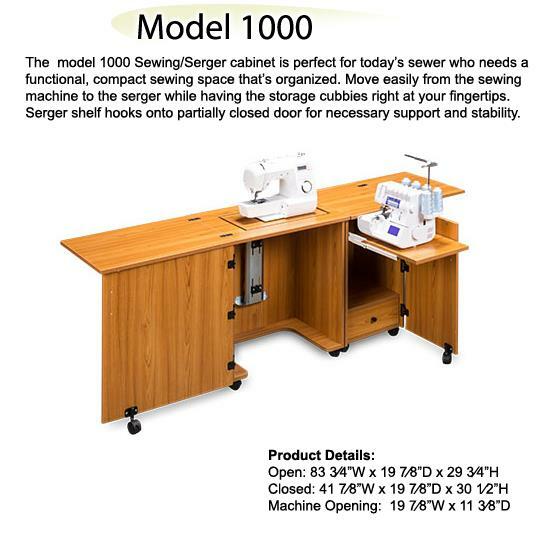 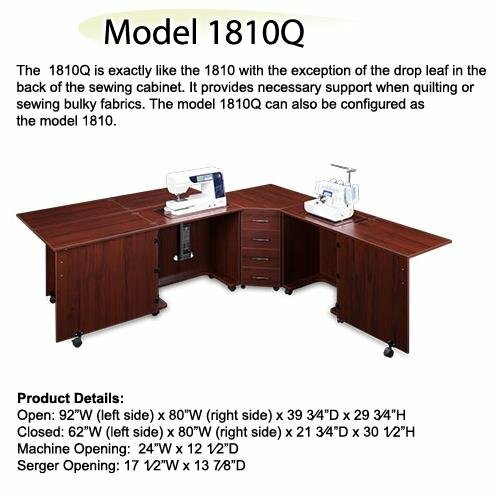 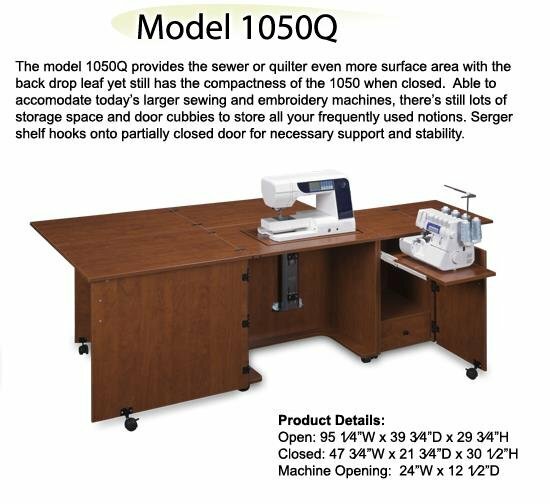 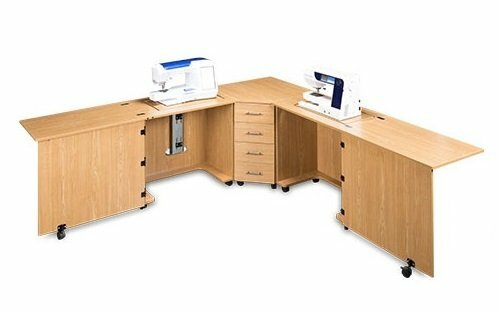 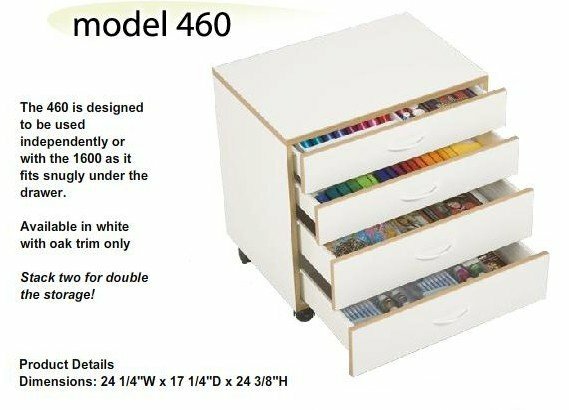 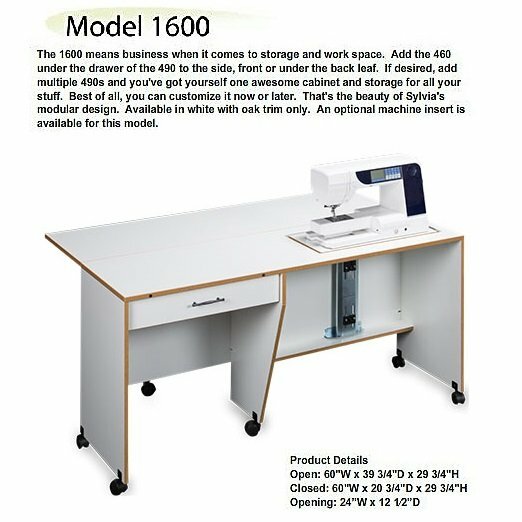 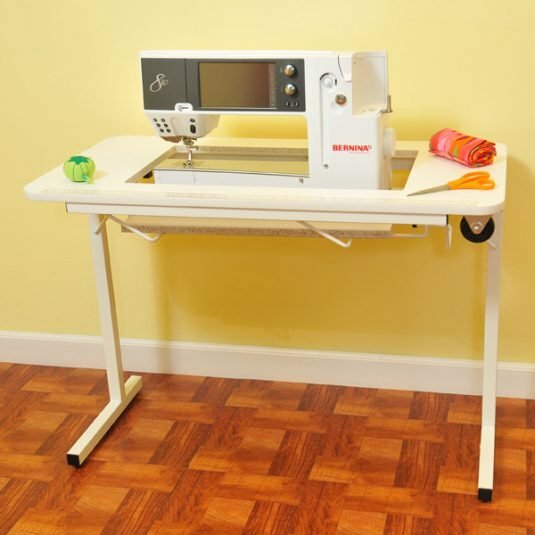 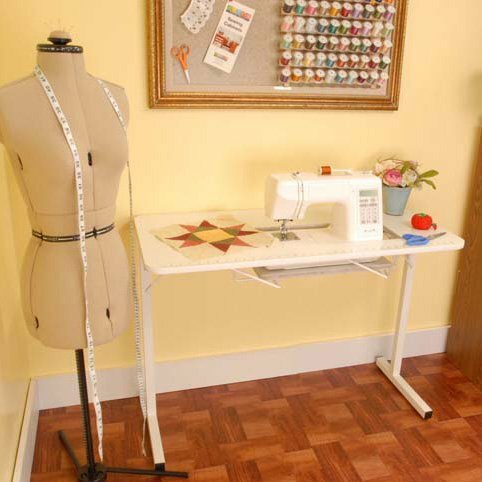 Airlift systems are included in all Sylvia sewing and serger cabinets which allow for your sewing machine to be flush with the top and create an awesome sewing area. 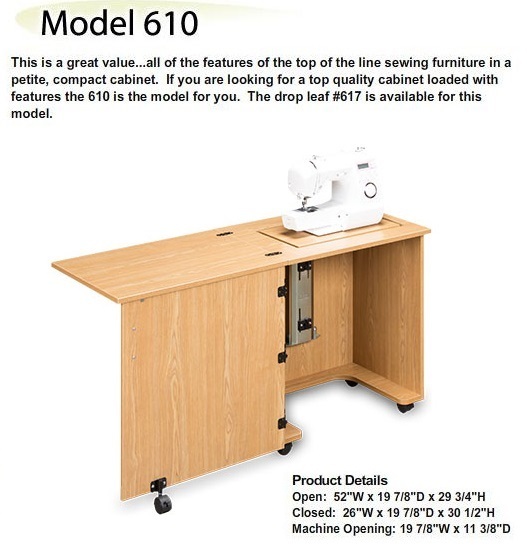 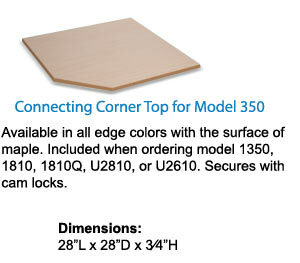 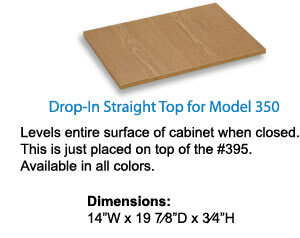 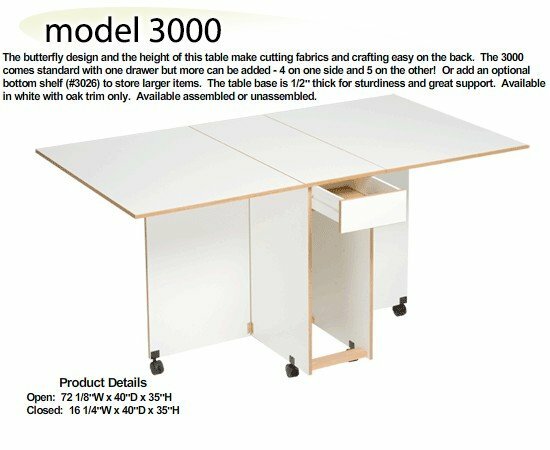 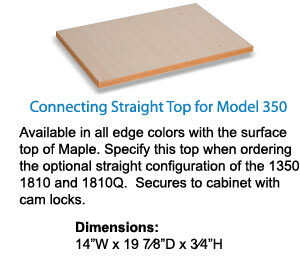 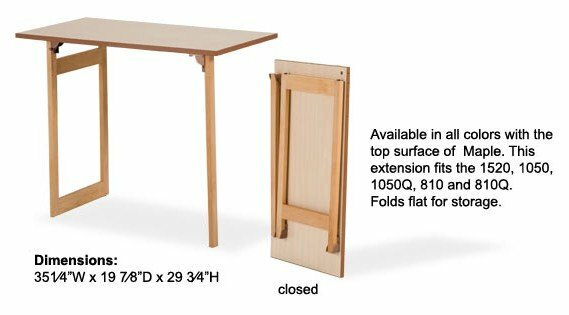 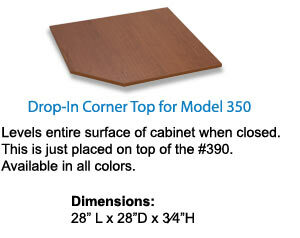 Arrow tables come in a clean, white, melamine finish that offers free-arm and flatbed sewing with adjustable platform. 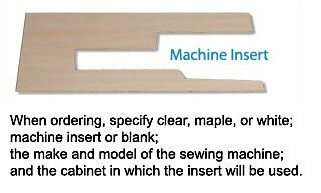 Custom machine inserts are available. 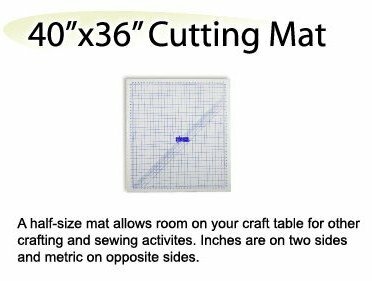 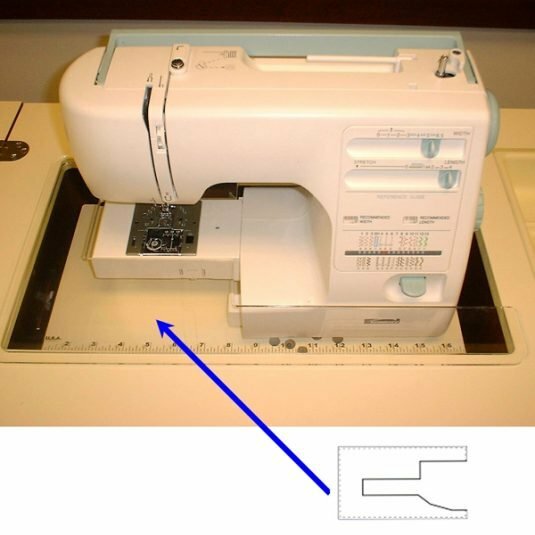 Please specify sewing machine brand and model number when ordering inserts.